A production photo of Black Widow firing the Glock 26s. A pic from the trailer shows Black Widow with her holstered Glock 26s. At least one model of bow is a compact one that can fold up tightly. When Hawkeye needs to use it, he thrusts forward and the arms snap into place. I think that was a special prop due to the difficulties in getting a stringed bow to fold up and snap out like that, and they switch to a slightly modified composite bow after. Yes, it does. Said safety can also be moved to the other side of the weapon for left-handed shooting, as appears to be the case here. Quoting from HK USA: "An improved USP-style control lever, a combination safety and decocking lever, is frame mounted on the HK45 and is quickly accessible. The HK45 control lever has a positive stop and returns to the “fire” position after decocking. 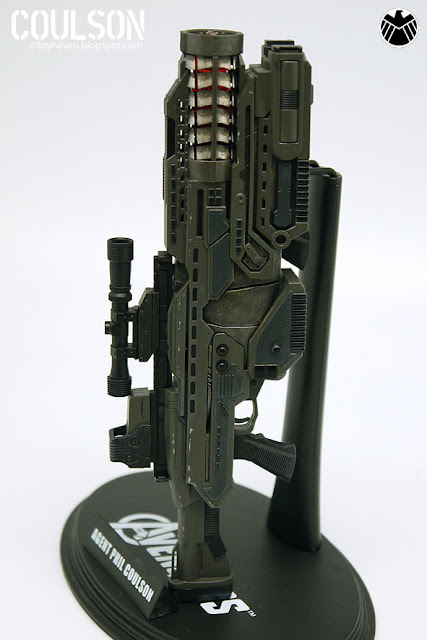 Has anyone been able to get a screen capture of the alien rifles used in the movie? 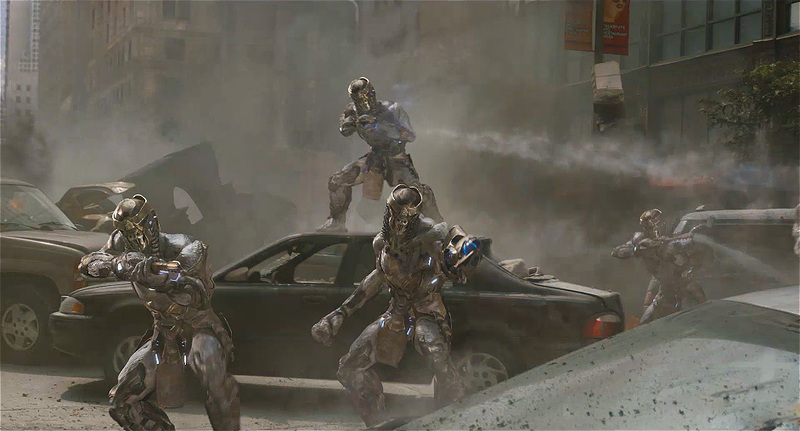 Best pic I could find, too lazy to screengrab from film :P It looks like just an M4 with a bunch of cosmetic crap on it. Here he is firing it up.